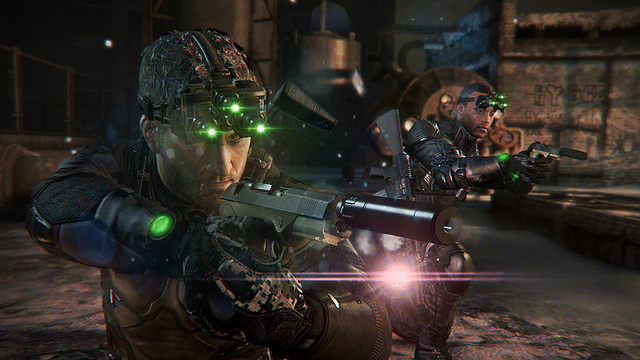 For those that have been following news on the latest installment in the Splinter Cell series, Splinter Cell: Blacklist, you may have noticed an emphasis on the cooperative aspects of the game. Focusing on a new gameplay philosophy that centers around the cohesion between two players, the cooperative play is being balanced and fine-tuned for an immersive experience. We talked about the way that the enemies, as well as the players, will rely upon one another to overcome obstacles and eliminate the opposing force in a previous article. For now, let's take a look at two new gameplay modes that will be present in Blacklist. The creative minds behind the cooperative maps of Blacklist are Ubisoft Shanghai. They have been responsible for the map design in Pandora Tomorrow and the more recent Double Agent. For Blacklist, there will be 14 unique cooperative missions, showcasing a wide variety of play. There are four different mission types, each given by a member of Sam's team on the Paladin. The Paladin is a mobile base of operations, and home to the 4th Echelon. Is is the central hub from which missions are acquired. The co-op campaign missions will be given by Isaac Briggs. These missions have their own storyline that is woven into the narrative of Blacklist. These co-op missions will feature two players, either online or locally. Briggs, a former Army and CIA agent, will accompany Sam on these missions. These missions will vary in objectives, but will fall under three main types of play: Ghost, Panther, and Assault. Another member of the 4th Echelon that can be found on the Paladin is Grimm (Anna Grimsdottir). Her missions are based on Ghost type missions, where Sam will be tracking down data and sensitive intel in a stealthy fashion. Her missions direct Sam to get in and out without leaving any trace behind. If you end up getting spotted in these missions, it means you have to restart from the beginning. 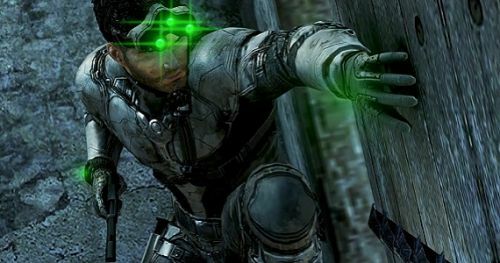 Splinter Cell: Blacklist will be released later this year on August 20th. It will feature two player cooperative play locally, online, and via LAN. For a look at the dev diary detailing the above information, see the video below.